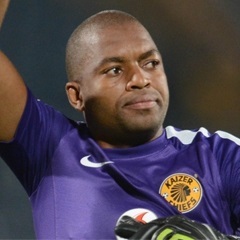 Cape Town - Shakes Mashaba felt it was the right time to call-up Itumeleng Khune back into the Bafana Bafana set-up. According to KickOff, Mashaba tried to explain the call-up by saying that there will never be a right time to call someone up to the national side. “There will never be a right time,” said Mashaba. “The only right time that we are talking about is only when the player shows form and capability playing his position according to the instructions of the coach and his commitment in the game.